When you need diagnostic and repair/upgrade services, our experienced professionals are ready to get you up and running â��� fast. In addition to supporting all Tensteer products, we repair and upgrade all Tensor Steering Tool and Electronic Multishot (CHAMP) products, and most Tensor Orientation Modules. Most repairs/upgrades are completed within a week. All of our system components are available individually, and are backward compatible to extend the service life of older Tensor systems. We provide fast and affordable calibration services for all Tensor Steering Tools, Electronic Multishots, and Orientation Modules. 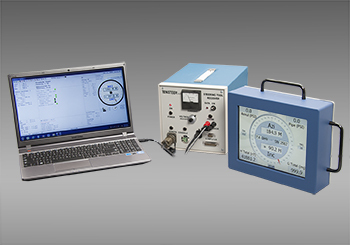 Our Total Field Calibration system, combined with our magnetic gradient free Calibration Lab, results in the most accurate calibration attainable. We are continually adding features to our Probe Systems and also offer these new features as upgrades to existing Tensteer or Tensor Probe systems. This allows our customers to keep their existing equipment operating at state-of-the-art performance levels, at a fraction of the cost of a new system. One of our most popular upgrades is the addition of an Annulus Pressure Module. This upgrade allows operators to monitor real time annulus pressure, helping prevent frac-outs. Our dependable design involves attaching a pressure module to the Probe's electronics, accommodated by an extended barrel. In the field, the probe is inserted into a Port Sub (taking the place of an Orienting Sub), which provides port holes to the Annulus. A special crossover plug caps the module when pressure monitoring is not required, allowing operation as a regular steering tool. Our High Resolution upgrade dramatically improves tracking accuracy, allowing customers to track to depths of over 1000 ft. The reduced tracking current requirement of our High Resolution system allows for longer coils and the use of a small DC Power Supply rather than a welder. This upgrade also significantly extends the range of Micro Coils. 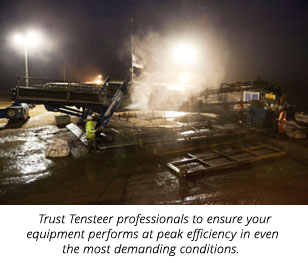 Tensteer provides product training on an as needed basis at no additional charge. This offer ensures that operators understand how to safely handle and operate their equipment. A tutorial on reading and interpreting the parameters transmitted uphole is also included.